War & Strategy Game Downloads - Play 90 Free War & Strategy Games! War & Strategy - Military themed games that range from action to strategy and everything in between! Grow a Garden of Anti-Zombie Plants All Across Time! 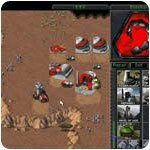 Command and Conquer - the RTS super classic now a free download! Stop Zombies From Entering Your House by Strategically Placing Awesome Organic Defenses! 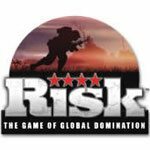 Experience the thrill of fighting with the elite Delta Force in dangerous Somalia! Expand Your Army, Fight Strategically, Conquer Land, and Take Over the World! 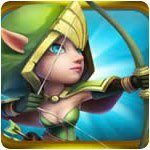 Build a Fortified Village and Raid Other Players for Resources in This Strategic and Addictive Free Mobile Game! Construct a Castle and Defend It with Soldiers, Monsters and Magic! 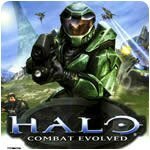 Battle the Covenant and Discover the Dark History Behind the Halo Array! Protect Your Treasures from Would-Be Heroes Within Your Evil Lair. WWII First Person Shooter of extraordinary quality! Lead the Charge Against the Nazi Military in this Action-Packed Cover Shooter! Fight for Glory with Guns, Tanks and Choppers in this Multiplayer Shooter! Battle the Kilrathi in Outer Space and Save the Confederation from Annihilation! 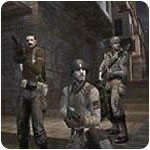 Gun Down Other Players Online as You Rescue Hostages and Defuse Bombs! Counter-Strike Type Multiplayer First Person Shooter! Jump in your Apache AH-64 and take on the enemy with the most powerful helicopter ever made! Train Your Knight, Run Your Village, Forge Your Armor, and Slay Dragons! Test Your Tactical Might Against Other Players in this Thrilling Strategy Game! 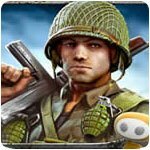 Defend the United States with Your Personal Army of Soldiers and Tanks! Take Command of the Battle Between the German and Soviet Forces! An action-packed Real Time Strategy Shooter game! Build and Customize Your Vehicles to Seize Territory in a Post-Apocalyptic World! Build a Military Machine and Take Out an Evil Dictator in This Free Classic Real Time Strategy Game! Control Your Army Wisely and Crush Your Enemies Underfoot! Test Your Strategic and Tactical Might in this Action-Packed Sci-Fi Strategy Game! Build and conquer in this free real time strategy adventure! Strategically Build and Manage an Army of Green Plastic Soldiers in their Critical War against the Tan Army! Lead Your Army of Worms Into Outrageously Fun Combat! Wacky Weapons, Huge Explosions, Sneaky Strategy, and Hilarious Worm Antics! 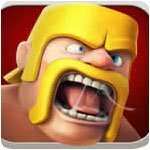 Play up to 63 opponents in this real-time chaotic war game! The Worms are ready to attack and conquer! This time their objective is the world! 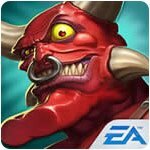 Defend your citizens from monsters by building and upgrading defensive structures! Use an arsenal of lawn ornaments, plants, and bugs to defend your garden! A free and frenetic game of tower building and defense! Squash those invaders! Lead Your Empire to Glory in a World of Chaos! Strategy games require player to think and plan ahead in order to overcome challenges. Challenges usually take the form of objectives that must be reached, or enemies that must be defeated. These games can be categorized based on whether they use strategy, tactics or some mix of the two, and whether they are real-time or turn-based. Nearly all strategy games involve the use of individual pieces known as "units." These units are divided into different types that are graphically distinct from one another, and often possess different strengths, weaknesses, and special abilities. Strategy refers to a player's long-term goals, the types of troops the player uses, and the surrounding terrain. Tactics refers specifically to how a player uses his troops in battle. Most strategy games incorporate elements of both strategy and tactics, but some only use one or the other. Real time strategy (RTS) games allow players to make decisions, act, and move simultaneously. In RTS games, players must build and defend a base while attacking and destroying an opponent's base and all his or her units. In order to create buildings and units, a player must mine resources. According to the definition of tactics, most RTS games should really be called Real Time Tactics games, though long-term strategy is sometimes required. Turn-based strategy games, not surprisingly, require players to take turns instead of playing simultaneously. These games usually impose a movement and/or action limit on units, so that players may only move or act a certain number of times with each unit per turn. Since turn-based games generally take longer than RTS games, their goals and challenges are often more long-term. Moreover, there are often more ways to win besides combat. War games are a subgenre of strategy games. They are descended from traditional table-top miniature wargames like Warhammer and boardgames like Risk and Axis & Allies. These games are almost exclusively turn-based, and feature combat on a map, usually with different types of terrain. There are several other subgenres of strategy games as well, including 4X, Tower Defense, War Simulation, and Artillery games. "4X" was a term first used by Alan Emrich to describe "Master of Orion," a strategy game he helped design. 4X stands for "explore, expand, exploit, and exterminate." In these games, players control an empire, and gameplay often spans hundreds or thousands of years of in-game time. Though the specific gameplay elements vary from game to game, most games involve some combination of economic, technological, and military development. Most games also provide several different routes to victory. The earliest 4X games were turn-based, and many still are, but real-time 4X games are becoming more common. Tower defense games require a player to build towers in order to contain swarms of enemies that follow a pre-determined route. These enemies usually arrive in waves, similar to some arcade shooting games like "Galaxian." Towers often have varying costs, with the more expensive towers being the most effective. Towers can often be upgraded with special abilities as well. Players must place these towers at the proper choke points along the route in order to make sure that no enemies get through. If a certain number of enemies get through, the player loses the game. War simulation games are usually first person shooter (FPS) games that try to portray warfare as realistically as possible. Although these games are played from a first-person perspective, as opposed to a top-down perspective like most strategy games, they feature strong elements of strategy in them, especially in war simulation games where squads must work together to accomplish their goals. Artillery games are a type of turn-based strategy game that features two players, two humans or one computer player and a human, taking turns firing artillery shells at one other. Players usually encounter terrain and weather obstacles, and must aim their tank or artillery in such a way as to surmount those obstacles. The history of strategy games begins with boardgames like Chess, Go, and Backgammon. Early wargames were originally designed by military personnel so they could reenact historical battles and learn from them. With the rise of personal computing in the late 70s and early 80's, it was only a matter of time before games like these made a technological transition to computers. The first computer strategy game, "Computer Bismarck," was a wargame released in 1980 by Strategic Simulations, Inc. It was based on the 1941 battle where British forces sank the Bismarck, a German battleship. In 1983, Strategic Studies Group (SSG) published the first known 4X game, called "Reach for the Stars." It was released for Commodore 64 and the Apple II computer. Players began in their home star system, expanding by exploration, research, colonization, and conquest. "Herzog Zwei," released in 1989 by Technosoft for the Sega Genesis, is widely thought to be the first real time strategy game. In 1991, MicroProse published a 4X game called "Civilization." The game was designed primarily by Sid Meier, and its popularity quickly elevated him to fame. Civilization paved the way for the development of other 4X games, though RTS games would become more dominant during the 90s and 2000s. Several sequels to Civilization have been published, with the latest one, Civilization V, having been published in 2010. "Dune II," a computer RTS game released by Westwood Studios in 1992, established a general format that the RTS subgenre continues to follow today. The commercial success of Dune II led Westwood to later develop the Command and Conquer series it is famous for. "Warcraft: Orcs and Humans," was an RTS released by Blizzard Entertainment in 1994, and expanded on the RTS model Dune II had created. Players could control either the Orcs or the Humans. Both sides had to fight off roaming monsters, though these monsters could sometimes be conscripted and used. 1995 saw the development of two influential strategy games, "Heroes of Might and Magic: A Strategic Quest," and "Command and Conquer." Heroes of Might and Magic was a turn-based fantasy strategy game where players controlled an army of creatures and heroes. "Might and Magic Heroes VI," the latest release in the series, was published in 2011. Command and Conquer was an RTS game where players controlled one of two factions, the Global Defense Initiative (GDI) or the Brotherhood of Nod. Command and Conquer spawned many sequels and prequels, most of which have consistently performed well commercially. "Age of Empires," an RTS that pictures the development of a civilization through various technological ages, was released in 1997. The first game was incredibly successful, and all the sequels have been successful to varying degrees, having sold over 20 million copies. In 1998, Blizzard released "Starcraft," a highly acclaimed scifi RTS title. Starcraft quickly amassed a huge worldwide following, to the extent that it is considered a professional sport in South Korea. "Delta Force," a tactical first person war simulation developed by NovaLogic, was also released in 1998. Delta Force featured mission-based gameplay that required players to complete certain objectives in order to advance. 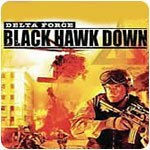 Many more Delta Force games have been published since the first one. 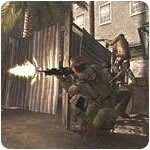 "America's Army," billed as one of the most realistic tactical first person war simulations ever developed, was released for free by the U.S. Army in 2002 as a recruitment initiative. Gameplay is designed for maximum realism, to the extent that players must receive in-game training before they can use certain weapons or access certain options. Version 2.0, called "America's Army: Special Forces," was released in 2003, and a version for Xbox was released in 2005. "America's Army 3" was released in 2009. 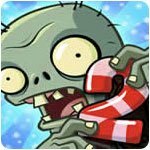 "Plants vs. Zombies," an arcade tower defense game, was released by Popcap Games in 2009. 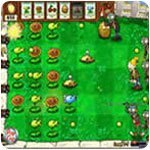 In this game, player set up different kinds of plants, each with different offensive or defensive abilities, in order to stop a horde of zombies from overrunning a yard. Strategy and war games tend to appeal most to gamers from the ages of 12 and up. Depending on the game, they can require a great deal of time and thought, so it is unlikely that casual gamers will enjoy them. Although strategy games can be fun in single player mode, they're most enjoyable when played with others. Competitive gamers can be sure to find a ready and willing community of opponents to pit their skills against.